Alright folks, all aboard the hype train it’s about to leave the station! I’m going to attempt to get the true meaning out there, so to speak. After hearing about the now infamous Steamcast Tweet, I wanted to get a serious insight into what’s really going on, after looking at my Steam Friends’ list who would be better to ask than Brad from Steamcast otherwise known as Mimaz98. To make a long story short, it seems like the information is very possibly true. After a discussion about possible strange Half-Life references showing up on the official TF2 blog, I did a little bit of investigation myself. Brad had noticed that the image used on the official post It’s Beginning to Look a Lot Like Australian Christmas was originally of an Aurora Borealis effect on a starry sky. The image has since been, inexplicably, changed to The Engineer standing in front of a warm Christmas fire. BREAKING: Gabe Hints Towards No Half-Life At The 2011 VGA’s? Well everyone, it’s been a great ride this week after all of the hype building up to the VGA’s. I’ll admit it got me really thinking so I decided to email Gabe this morning to share my excitement and to see what kind of answer I could might receive back. The answer may or may not surprise you. This is unsettling news to hear almost three years after the release of Half-Life 2: Episode Two. 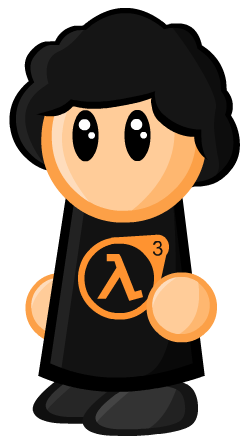 Looking at this news from a positive perspective, Doug didn’t mention ‘Episode Three’; could this mean that the next Half-Life installment is going to be a larger adventure than previously planned? Documentary on a rare breed of sea creatures.